It is a curious truth, noticed by many writers, that good fortune is nearly always followed by more good fortune, and bad, by more bad…. Many chapters ago I mentioned a boy who lived near us and who had tried, quite unsuccessfully, to make friends with my brother and myself. His name was Arthur…. I think it was shortly before the beginning of my last term at Wyvern that I received a message saying that Arthur was in bed, convalescent, and would welcome a visit. I can’t remember what led me to accept this invitation, but for some reason I did. You can image precisely what came next. Next moment the book was in our hands, our heads were bent close together, we were pointing, quoting, talking—soon almost shouting—discovering in a torrent of questions that we liked not only the same thing, but the same parts of it and in the same way; that both knew the stab of Joy and that, for both, the arrow was shot from the North. Many thousands of people have had the experience of finding the first friend, and it is none the less a wonder; as great a wonder (pace the novelists) as first love, or even a greater (Surprised by Love, ch. 8). For those that have found as great a wonder as a real friend, the “pace“–the apologetic tip of the hat to novelists who tell the stories of falling in love–is hardly necessary. C.S. Lewis found a lifelong friend in young Arthur Greeves, and they filled their teen years sharing writing and art with one another. All their lives, their letters are filled with the books they both love. One day, while he was still a relatively minor short story writer, fantasy superstar Neil Gaiman found this kind of friendship. It was that weird thing when you sit down with someone and you realize that the Venn diagrams of your minds overlap. You share head space. 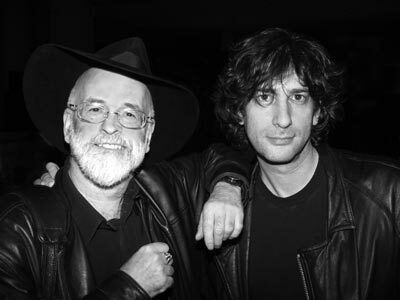 Eventually Pratchett and Gaiman would write Good Omens together–arguing over plot points and sharing characters over the phone as they laid out that odd, wonderful, and flawed romp through the end of the world. I had been so far from thinking such a friend possible that I had never even longed for one; no more than I longed to be King of England. If I had found that Arthur had independently built up an exact replica of the Boxonian world I should not really have been much more surprised. Nothing, I suspect, is more astonishing in any man’s life than the discovery that there do exist people very, very like himself (Surprised by Love, ch. 8). This entry was posted in Reflections and tagged Arthur Greeves, books, C.S. Lewis, Discworld, fantasy, friendship, Good Omens, literary friendship, Neil Gaiman, Surprised by Joy, Terry Pratchett, The Colour of Magic, writing. Bookmark the permalink. Lewis’ letters to Arthur Greeves are wonderful documents of their friendship (not to mention of their reading). Currently I am reading the letters from 1916 in Lewis’ Collected Letters. At this point the letters to Greeves alternate with letters to his father. Although they differ a bit in tone and degree of familiarity, as you would expect them to do, both sets of letters are full of a playfulness and banter that I had not expected. (But I should have, given all the times Lewis is playful in his later writings.) You can see the closeness, the overlapping of their minds, in the way he addresses each of them. 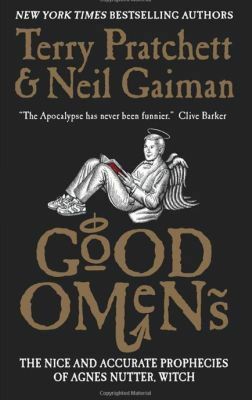 In the same way I think the closeness of Pratchett and Gaiman is obvious in “Good Omens,” which has to be one of the most successful collaborations in the history of the novel. Part of the fun is being able to tell what fun the two of them had writing it. Tom, I had a similar experience reading the teenage Lewis letters–they get better when coming from the Great Knock’s house (KIrkpatrick’s). They are perhaps a bit sardonic to his Papy, and a bit coy on things like faith or money. It makes me wonder about other collaborations. I’m posting a bit on “Inferno” by Larry Niven and Jerry Pournelle, and I’m reading “S” by Doug Dorst and J.J. Abrams, but I think Abrams was more brainchild and maybe executive producer. I just don’t know many cowritten novels. Yes, it’s fascinating to watch Lewis grow as a writer from his first days at school, with poor spelling, to the rather impressive 18 year old whose words I am reading now. And he sometimes surprises me — but again maybe he shouldn’t because after all he was a teenager at the time — by how very nearly cheeky he is to his father, more than I would have ever dared to be. Of course his relationship with his father was his own, not mine, and if his father didn’t mind his banter, so much the better. And you’re right, the letters do get better once he gets to the Great Knock’s house. It was that total immersion in books and critical reasoning. You can see him trying to pull Arthur along with him. 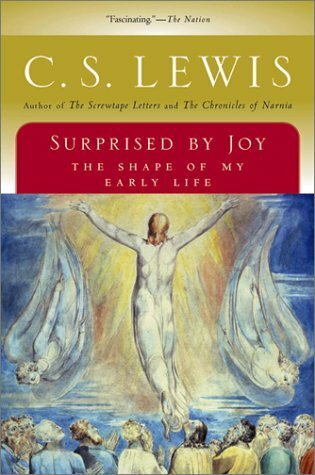 Reading the letters now, long after reading and loving “Surprised by Joy,” I almost feel like I am reading a commentary on it. As for cowritten novels there can’t be many. I was thinking mainly of Pratchett’s Long Earth books with Stephen Baxter, which I found extremely disappointing, dull even, which is not a word I ever associated with Pratchett before. Pratchett may not have been the only writer to write comic fantasy (intentionally, that is), but he was certainly the greatest I can think of. He really is a ‘humanities” evangelist to Arthur, trying to tug him out of his bedroom into the intellectual life. Perhaps that’s why Arthur to the risk to go to the Slade art school for a year. I haven’ tread Long Earth. I still can’t think of more co-authored books where it wsan’t effectively ghost-written. But think of the gaming world–the board kind, like D&D–they collectively create a world and storyline. Also, sitcom and TV Drama writing is often by team. I have a friend like this – we “fell in love” over the LotR extended edition commentaries and special features! Ah yes, I can see that. I think geeks are particularly good at this! We are particularly good at this, but I think that is more a result of our passion for a book, show, or movie than of the thing itself. The same is true, for example, of baseball fans or woodworkers — both of which I am — or of car enthusiasts — which I am not. To find someone who loves what you love with the same passion you do is a marvelous thing. It is very much like falling in love, as M. Joelle suggested. For me the most compelling thing about reading Lewis’ letters has been the burning passion he has for books — as objects and more importantly for the stories they tell. It sets the page on fire. I see we do. I appreciate you telling your story.